Congregational dinner & dance. 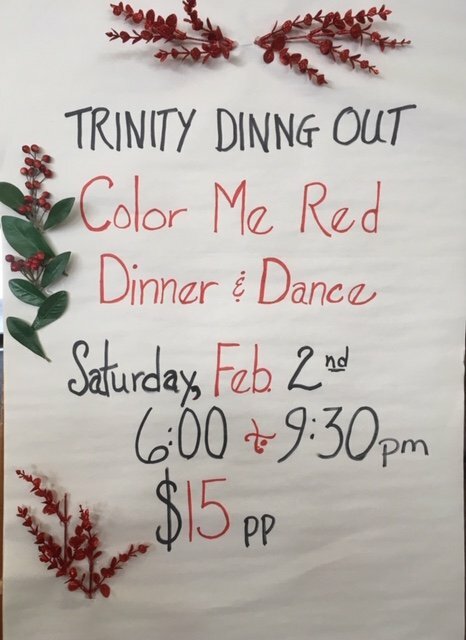 The theme is “Color Me Red”. Tickets are $15 per person and include a chef prepared meal.